HomeRules? Where We’re Going We Don’t NEED Rules! Rules? Where We’re Going We Don’t NEED Rules! 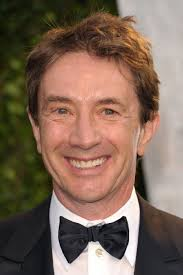 If you follow me on Twitter (which I assume you do, because how else would you see this), you may have seen me mention something about making writing rules and also in the same tweet talk about marrying Martin Short who is 33 years older than I am. But uncommon and possibly inappropriate celebrity crushes aside, I love rules. Not all rules, like “Top Ten Tuesday,” which will most likely happen on Friday and will definitely be fewer items then ten, but like other rules. Rules like when my friends illegally set off fireworks around our small town and I sat in the car yelling, “come on, guys, we’re gonna get caught!” just before we were chased out of town by the cops and that one guy with a rifle. The only reason I accompanied my friends on these excursions was because I made sure that if we were pulled over I would not be taken in as an accomplice. Not my car; not my fireworks. Those rules are important and I cling to them. My friend Kate recently linked to this article by Aimee Bender about creating rules for the writing/creative life and then living by them. She made a contract with a friend and they check in each day. Just a single word to say, “I did what I set out to do!” With a response that is basically, “Well done!” Super simple. So today I did this with my friend Lauren. I set goals in place for writing. Because I need accountability, otherwise I lose hours and days and months to Netflix (what up, Kimmy Schmidt) or YouTube videos (see above and to be fair I started out by searching for videos of Steve Martin, which I’m just not going to get into right now, okay). I need to break my life up into sections. I need unbreakable rules. Because in actuality I’m incredibly lazy and if you remember my Godspell post, I fully believe I deserve to be handed things without working for them. But this isn’t how the world works and I actually have to work at things and get better and also there’s something about working hard and feeling the pride that comes along with that (or so I’ve been told. I’ll keep you updated!). So from this day hence, I am devoting myself to set aside creative time and blogging time (Hi, Nicole! I love you!) and reading time, whatever. Because, in the long run, 2.5 hours out of my TV watching time is really not that much. I mean, sure it’s like 5ish sitcom episodes, but who’s counting. Please do not publicly shame me if I fail. Not my car; not my fireworks.